Erik Levi is Reader in Music and Director of Performance at Royal Holloway. He studied in the Universities of Cambridge and York and at Berlin Staatliche Hochschule für Musik. An extremely versatile musician, he has interests both in the academic and practical aspects of music, having become a worldwide authority on German music of the 20th century especially during the Nazi era with the pioneering books Music in the Third Reich (1994) and Mozart and the Nazis (2010). He has also worked as a professional accompanist, appearing at the South Bank and Wigmore Hall, the Aldeburgh Festival and on over thirty BBC Recordings. A frequent broadcaster for BBC Radio 3, he also works regularly as a music journalist writing articles and CD reviews for BBC Music Magazine and International Piano. 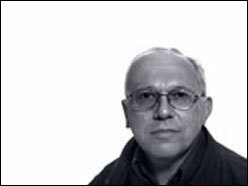 Erik Levi sits on the executive board of the International Forum for Suppressed Music at London’s School of Oriental and African Studies and has organised a number of Conferences on topics that include music and national identity in the 1930s, the composition class of Franz Schreker, Music and Displacement, the impact of Nazism on twentieth-century music and most recently Hanns Eisler. The research students he has supervised have submitted PhDs on a wide range of topics including the use of Kitsch and popular culture in opera during the Weimar Republic, Paul Bekker, Alfredo Casella and Italian Fascism, the music of Matyas Seiber and most recently, the musical press in Franco’s Spain. About Opera: “BBC Music” magazine published in the September issue your article on George Enescu, in the permanent section “Composer of the Month”. The article is very interesting. I was touched reading it. The moment for publishing it is very good as the Enescu Festival is about to begin, on 30th August. What’s the story of writing it? Erik Levi: The “BBC Music” magazine does a monthly composer. I was called by the Deputy Editor, who said they wanted to do Enescu, as they had never had Enescu. I mean, the magazine exists since 1994, and some composers have been featured twice or three times, but they have never featured Enescu. We tried to commission somebody in Romania to write the article, but even if she was somebody completely competent, she did not feel very confident about her English. So, he asked me if I’d be interested to do it. And of course, I had reviewed some of his music, and it was fantastic for me to get into an in-depth study of his works. And I wanted also to share the opinion of one of my colleagues, Martin Anderson, who published the book on the composer by Noel Malcolm (George Enescu: His Life and Music, Toccata Press, 1999, London), that Enescu really is the major figure in the first part of the XXth century still waiting to be rediscovered and put on the musical map. A.O. 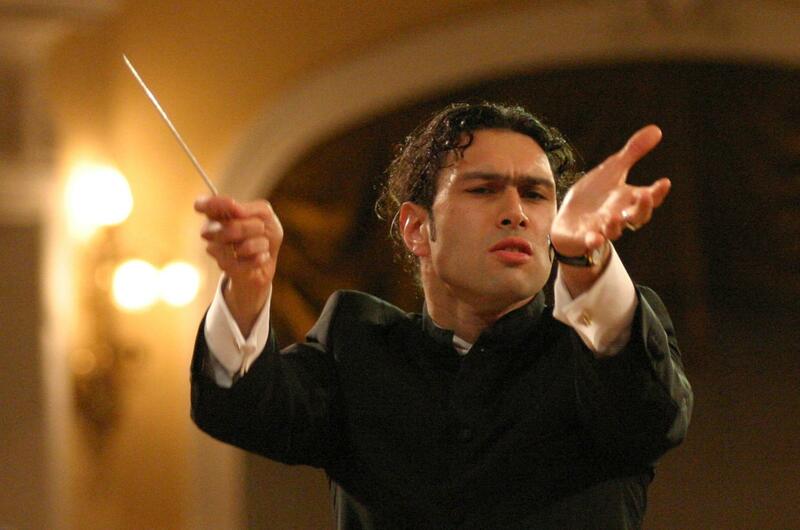 : I know you were present at Vladimir Jurowski’s concert with Enescu’s Third Symphony, in London. How was it? E.L.: Yes, well, I think Jurowski is the example of a conductor who has the charisma, has the power to persuade the public to come and see unusual works. For many years now he has programmed a very ambitious repertoire. For example, a couple of years ago he did Myaskovsky’s Sixth Symphony, which had never been done in this country before, so there is an expectation from him to bring out these epic, big symphonies. The Third Symphony was performed in a programme which also included Rachmaninoff, in very interesting combination. In fact it was part of aRachmaninoff series, to place his output in the context of works that were written around the same time. The Third Symphony I think it was performed for the first time, as I certainly hadn’t heard this in London before. It was very well attended. The one problem with London, and this may not be the case in Bucharest, and indeed in many other European cities, like in Vienna, or Berlin, where you have a concert repeated three times, is that these works are performed once. And I think the concert would have benefitted if you could have a few more live performances. The English orchestras are brilliant and they are able to grasp music very quickly and deliver very effective performances of the pieces, but the playing would have been even better and if they had had the chance to live with it in live circumstances for more than one performance. I didn’t think the balance was always very good in the orchestra from where I was sitting. But Jurowski is a very inspirational conductor and there were many exciting moments and many very moving moments, particularly in the final movement, which was quite beautiful. So, it was a mix. It may be that, again, as I said before, it’s something that needs bedding in. I saw there were microphones there, so there is a possibility, if the orchestra are satisfied with the quality of the performance, that it was recorded and it will be released on a commercial recording, but you may know more about that than I do. I know they have their own orchestral label, so there is a chance. I know he has done this before, with another composer he’s fond of, Zemlinsky, another kind of contemporary composer, and there have been several recordings made from live performances, so there is hope, certainly. A.O. : I didn’t go to Jurowski’s concert in London, but I went to the one he had in Bucharest, with the Third Symphony and the London Philharmonic Orchestra, too. It was in 2013, during Enescu Festival. And I remember people coming in, in the great hall, as it was in Sala Palatului, the Palace Hall, which is very big, around 5-6000 seats. And most of the public were coming there to see Jurowski in the first place, not necessarily Enescu. Although Enescu is our national composer, this doesn’t mean that his music is adored by all the people who come to the Festival. The Third Symphonywas played in the second part of the concert, and there were around 100 people who left during the interval. I had very low expectations regarding the concert, thinking that this is difficult music, it’s modern, although Jurowski is a great name in music, a great conductor, would he be able to capture my attention? And I have to confess it was just extraordinary. It was like listening to one of the most extraordinary renditions of one of Beethoven’s symphonies, something very romantic. E.L.: I think in general he got a very good reception. There was lots of applause. And I also have to say that a lot has to do with the acoustic of the place, if the hall has some problems, then it’s more difficult. This is why I am curious if they have done a recording and how the engineers have captured it. But I agree he is very good at setting up the drama, and building it up and making it coherent. It’s a very complex score, very dense, with lots of things going on, and to try to make it coherent with a work that is totally unfamiliar is a challenge. And I think Jurowski rises to that challenge. In my opinion, with all these works, because they are so big and complex, if you have the chance to perform them more than once, they will get better and better, because they get absorbed into the blood stream of the orchestral players. You know, sometimes we depend so much on recordings of the so-called “masterpieces”, but if they are played badly or recorded badly, they do a disservice to the piece. I don’t think this is the case with the recordings of the Third Symphony of Enescu, but it would be better if they could rehearse it more and give more performances. I’m curious to know if anybody has asked Jurowski if he thinks of programming this music with the Berlin Radio Symphony Orchestra which he also conducts quite regularly. A.O. : I do not know about that, but I know, in fact it was announced in March this year, that for the Enescu Festival in 2017, two years from now, Jurowski and the London Philharmonic will perform Œdipe. E.L.: It means that there’s a likelihood that they will do it in England as well. That would be exciting. And this may well herald a renaissance for Enescu’s music. A.O. : Each orchestra coming to the Festival is asked to perform a composition by Enescu, so we have the chance to listen to different visions, different versions, some of them are very good, some are not very good, or not good at all, but Jurowski really made a very strong impression. E.L.: I don’t know how the festival is organised, but there is this phenomenon that in English we call “tokenism”, meaning that people do what they are asked to do, and they do it beautifully, but without any sense of commitment, nor to the music, or to the composer. And then you have people like Jurowski, who clearly has a curiosity and a desire to expand the repertoire and believe in this quite strongly. I know from hearing him talk, that certain works should be much more often or not heard at all. And as much as I like Tchaikovsky and Dvořák and all these people, there is room for other figures as well. A.O. 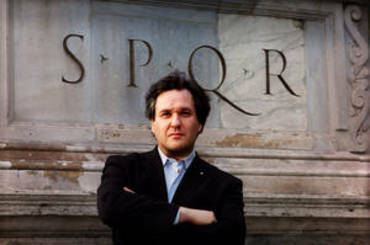 : For instance, Antonio Pappano had a couple of concerts two years ago, in the Festival, one with Verdi’s Requiem, and another one with Dvořák’s Ninth Symphony, but in the first part he had Vox Maris, by Enescu, that he linked with Debussy’s La Mer. And he played these two parts in a continuous way, without break. And the public was asked not to applaud, so there were two pieces played one after the other, with the same theme, the sea. Well, I have to say that at some point you wouldn’t know where Ravel ends and Enescu starts… It was a very smooth transition from Ravel’s music to Enescu’s music. E.L.: Is that a criticism or a strength, what do you think? A.O. : I think it’s a strength. A.O. : In my opinion, it’s a strength, it was Pappano’s experiment, trying to make the link between Ravel and Enescu, and, by not knowing exactly where one finishes and the other one starts, his goal was achieved. I liked it. E.L.: Well, one way of making the programme is what Jurowski did, but of course, those works were written at about the same time, by different composers, so it was an interesting mix and a good solution. And we had the same experience a couple of years ago, at the Proms, where Simon Rattle with the Berlin Philharmoniker played Schoenberg’s, Webern’s and Berg’s orchestral pieces, composed roughly around the same decade, and he programmed them without a break. And that went very well, as well. A.O. : At the beginning of this summer, Royal Opera House announced the calendar for its next season and one of the premieres is Œdipe. What are the expectations for this premiere? E.L.: Very interesting again, sorry to bring in Szymanowski, but there seems to be now starting a tradition, as Tony Pappano, the music director of the Royal Opera House, has brought in the idea to present each year a XXth century work that has been unfairly neglected. This year it was King Roger with its first performance at Covent Garden, although it has been performed elsewhere, maybe a few times, in the 1970s. And this was a very exciting, a very daring choice, setting the expectations so high, because remember the repertoire in the opera house on the whole, it is very conservative, it sticks to the same few composers, the Verdis, the Wagners, the Mozarts… So, I think these performances will be very well attended. Of course, the performance of King Roger that I saw was completely sold out, so I guess there’s an immense hunger and curiosity, and, of course, if it’s well performed and imaginatively produced, it will be a great success. And this is why I said in my article that this is a moment when maybe Enescu’s music will be placed on the musical map. A.O. : And, do you know that Leo Hussain, who conducted Enescu’s Œdipe in Bruxelles and will conduct the premiere in London, will also conduct the opera in Enescu Festival, this year? I can’t wait to see him! 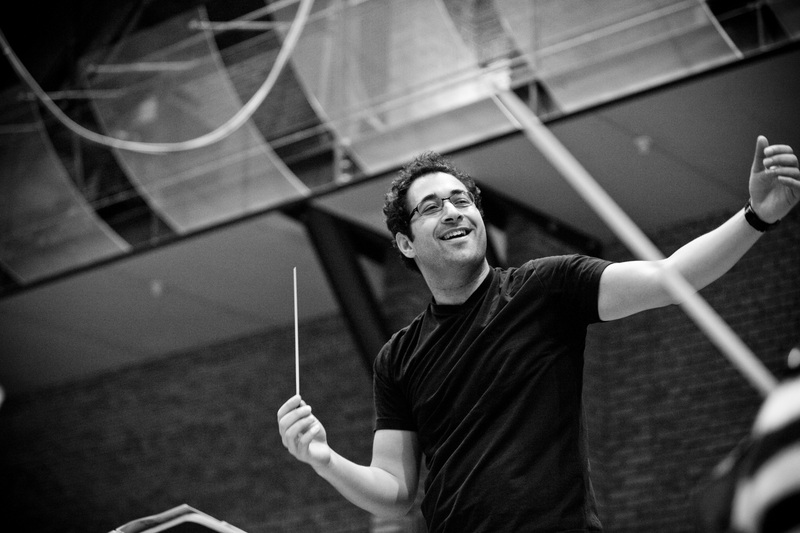 E.L.: Well, of course, but, and this is no disrespect for Mr Hussain, who is a very fine conductor, but it is always an advantage in terms of the public if the major conductor – music director of the opera house conducts the work. For example, Pappano conducted the Szymanowski, and I have to tell you the orchestra’s playing was superb, and I’m not saying that Hussain won’t do a great job, but he’s not such a high profile figure. So, my question is if with a less famous conductor the piece will not be less attractive to the public. Well, the public is usually stupid about this sort of things, anyway. But this is what I mean when I say that you need a high profile musician when you want to program this sort of music. And that, in a sense, will help put it on the musical map. A.O. : I found on London Royal Holloway University’s website a long list of your articles and studies and I saw that an important part of your interests is related to the study of the relationship between the musicians and nazism. It’s interesting that after the Paris premiere of Enescu’s opera, in 1936, after 11 runs, Œdipe was no longer included in the program of the opera. 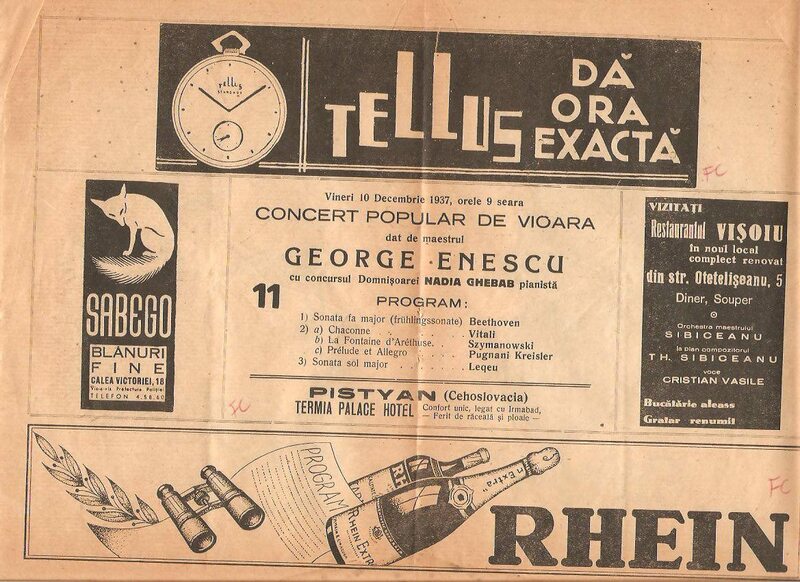 On the other hand, in Romania, where Enescu was much admired even during his life, Œdipehas its premiere as late as 1958. Nevertheless, there was an attempt to schedule a premiere in 1941, but it failed, and in 1944 the National Theater’s building, which hosted the National Opera’s events, was bombed, and the premiere could not take place anymore. 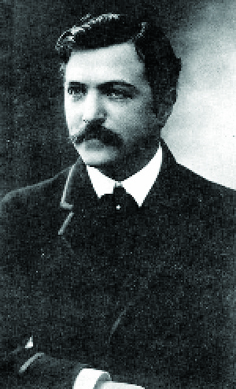 Is it possible that the disappearance of Œdipe from stage is connected to the fact that the librettist, Edmond Fleg, was a Jew? E.L.: I didn’t know about all this, but then I am going to ask you another question: was there a problem with performing Mozart’s operas in Romania in 1940? Because the librettist was a Jew! Or was there a problem with performing Carmen, or Strauss’ Rosenkavalier? A.O. : Well, I don’t know… And I don’t know of the existence of any document attesting this. You know, Enescu was very closely related to the royal family and probably it wasn’t possible to issue a document with a ban. It would have been too much of a scandal, but probably they invented some other issues in order to stop it. E.L.: The other question I have for you: would it have been a problem in getting out the music? Because in 1940 France was invaded by Germany, and presumably the orchestral parts and vocal scores would have been issued by a French publisher, then maybe it would have been difficult in actually accessing them at that stage? A.O. : It was not the case, albeit Œdipe’s score is a special case. The problem was not his ethnicity, but Edmond Fleg was an assumed Jew with poems (Pourquoi je suis juif), statements like “I’m proud to be a Jew” and so on. E.L.: Yes, all right, so he made a display of it. That’s interesting to know… It was a period, of course, when Italy co-signed an agreement with Germany and they also introduced the antisemitic laws in 1938, so it’s very likely. Are there any documents? Was it actually announced that it was going to be performed and then cancelled, or it didn’t even get to that stage? E.L.: Yes, I understand. It could also be that there was pressure applied from the Germans, because there is evidence, of course, of Romanian artists performing in Nazi Germany, one that I noticed with a constant program is the conductor Georgescu, for instance, who conducted the Berlin Philharmonic on many occasions. A.O. : He suffered consequences of this after the war. E.L.: I’m sure he did. A.O. : He was harassed by the communists. But he wasn’t convicted, he didn’t do any jail. E.L.: That doesn’t surprise me. In fact, few musicians were put in jail. They may have had a temporary ban, or they would have been retired. In Germany, the ones that were accomplices of the regime were either retired or denazified and then allowed to work. A.O. : I know about Furtwängler, or Böhm, or Karajan. E.L.: By the way, I looked on Furtwängler website to see if he actually ever conducted a work by Enescu, and it looks like he never did. That’s interesting in itself. A.O. : That was one of the questions I was just about to ask. E.L.: Yes, but I was interested to know this. He did conduct Bartók, for example, so I wondered whether he might have ventured with other XXth century composers, but he didn’t. A.O. : What about other German conductors, from Furtwängler ‘s time? E.L.: In fact, in my experience, if there were, that was during the Nazi period, and there is no evidence that he was taken as a symbol of the friendship between Germany and Romania. And the problem is that during that period, all they were writing about was German music, even the photos were about German music. There is no discussion about the French music either. So, there is no surprise that a Romanian composer was not discussed at all. There is always this feeling that Germany was the top and the rest didn’t count. A.O. : The fact is that before the Romanian premiere of Œdipe, in 1958, during the Enescu Festival, there was also a premiere in Bruxelles, in 1956, and Constantin Silvestri was sent there by the Romanian state in order to take notes about the production, the way they are playing Enescu, to get experience. It was also performed by the Orchestra of the French Radio Company, right after Enescu’s death, in 1955, but it was a concert version and it was also recorded. But other information about performing Œdipe in other countries from Western Europe after the Paris premiere… I don’t have. Do you know of other performances? E.L.: No, I don’t have any information about this. One way you might be able to check on this is to see if there is a place in Bucharest where you can access the ”Opera Magazine”, and to basically go through it. But remember this was a period, the 1960s, when there was certainly a reaction against composers who were not deemed to be sufficiently avant-garde in outlook. I know the score of Enescu’s Œdipe is complex, but remember that it was a period in which serial composition was much to the fore, so Enescu was probably regarded as a bit conservative, I would imagine, and that was one reason why nobody thought of championing it. And the other thing is that, to put a composer on the map, to promote a particular composer, you need interpreters who are prepared to promote that particular composer, high profile interpreters. This is always necessary, particularly with somebody who is still not regarded as an essential figure in a period. 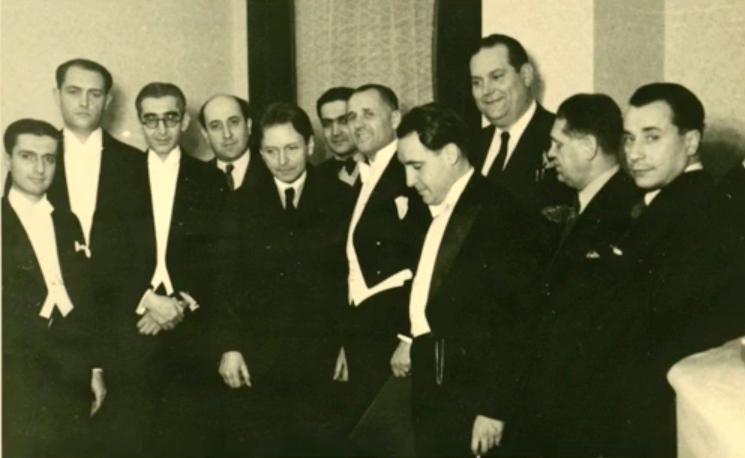 După un concert la Ateneu, Constantin Silvestri alături de George Enescu, Dinu Lipatti, Alfred Alessandrescu, Mihail Jora și alți muzicieni români. A.O. : Well, he was promoted by great conductors for his Romanian Rhapsody. E.L.: Of course, yes, but that was a kind of a pop board. In a way, it’s a bit like Max Bruch with the First Violin Concerto. He was probably fed up, in fact I am sure he was fed up with the fact that this work was an enormous success but nothing else of his work was promoted to the same degree. A.O. : And how about England? How about UK? Because Enescu was the teacher of Yehudi Menuhin, who was very popular in the UK. E.L.: Yes, he was, he also taught at a summer school, in the early fifties, in Dorset, in southern England. I think there is a very important point in the dissemination of Enescu, and that is that he didn’t have one big publisher working on his behalf, and the French publisher seemed to be more diffident in promoting his music. If, for example, he had been signed to Universal Edition or Schott, the two big major XXth century promoters of music, I think he would have had a much higher profile both in scholarship at that time and in terms of performances. Universal Edition, in the 1920s, had such a market on the music scene. With practically all the major figures of the time on board (Schoenberg, Zemlinsky, Schreker, Weill, Berg, Webern, Krenek etc). And it’s quite striking, for example, that, despite the fact that Enescu is quite productive at that time, there is practically no mention of Enescu’s music in the publications issued by Schott, which is “Melos” journal, or in the “Anbruch”, which would be Universal Edition’s publication. If we’re talking about later, for example Bartók , even if he was dead by the 1950s, the fact that he was published by Boosey & Hawkes and Universal had quite an important influence on the fact that is music could be distributed more obviously. All of this, despite Yehudi Menuhin’s obvious, absolute admiration for Enescu as a man, as a composer, as a teacher, as a performer. A.O. : And you know the situation has not improved over the years. E.L.: Yes, that’s what’s so surprising. And what I stand by my statement is that Enescu is still the great composer of the first part of the XXth century waiting to be discovered. CDs have helped, that’s sure. There have been CDs issued with different performances and they have helped disseminate his music. You would be pleased to see the work done in Finland on his behalf, by Hannu Lintu, for Ondine, very recently. It’s a surprising country to think of in relation with the Eastern European music. But there hasn’t been anybody in Britain to actually have carried the mantle, that being a problem. And this is why, to jump the gun again, I mentioned in my article about Simon Rattle, who was a big promoter of Szymanowski ’s music, who was not well-known in his country until relatively recently. And I think it’s largely thanks to Simon Rattle, who promoted a lot of his music in Birmingham and then made all those EMI recordings of his music, that Szymanowski was put on the map, with consequences now. You know we’ve had several performances of his symphonies and the violin concertos by most of the London orchestras in recent years. A.O. : I want to continue on this idea, by saying there is no critic edition of Enescu’s Œdipe, and I think that the score can be found only in manuscript. That’s a pity that the Romanian state, or the associations of musicians, are not able to publish in a decent way the score and I wonder what will use the musicians of the Royal Opera House next year, when they will play Œdipe. E.L.: As it’s a coproduction with the one that was done in Bruxelles, presumably they will just borrow the same material. I think we reach here a very important point: as far as I know, there is no accessibility of scores for Enescu’s music. And I think that until somebody in Romania has the finance and the drive to create a complete Enescu edition, which can be well distributed, in terms of dissemination, it will continue to be problematic. It’s also a problem for musicians wanting to know this music, if the music is not immediately accessible in scores. For example: one of the music people might be interested in performing is the incomplete violin sonata he wrote in 1911 or something like that, well, if you look on the internet, you cannot find the score. And after a while, musicians will give up, because life’s too short. And somebody’s got to do something about making this music generally available! A.O. : Yes, I understand, it’s a pity and it’s a big issue. E.L.: It is! And I don’t know how things work. If there is a committee in the Enescu festival, trying to persuade somebody to put the funds together and try to create such an edition. A.O. : I only know that Œdipe has this big issue. Maybe other works are better printed. I am not very aware of this story of publishing music, so I am asking you what has to be done, what is needed to be done, who should ask whom to publish Enescu’s works? For example in Romania there are several things related to the name of Enescu: a museum, the festival, etc. And in order to make his music more available, they should publish those works, but where? What is the path to do that? E.L.: In my opinion, the best solution would be if they could persuade the director of a big company like Schott or Boosey & Hawkes to find the owner of the rights, and this would be a major adventure to publish a complete edition of all Enescu’s music, a scholar edition, with all the mistakes, too. I am sure there are musicologists in Romania who are familiar with this work and who could edit it. And to include, if possible, the incomplete works. And you probably know this already, but the Fourth Symphony will be released by CPO in a couple of months’ time and they have already released a recording of the Fifth Symphony? A.O. : The symphony that was never finished by Enescu, but was finished by a Romanian musicologist, Pascal Bentoiu. E.L.: Yes, yes! And if you go on JPC’s website, as this is the company that owns CPO, you’ll see the Fourth Symphonywill be released very shortly. And in fact they have quite an Enescu cycle. A.O. : Oh, with Peter Ruzicka, I know about this! E.L.: So, some musicologists, somebody needs to get together and create the possibility, maybe with some state funding, of a Enescu edition. I dont’ know how easy that would be to happen. But I know it has happened with composers like Korngold, where the problem was with issuing scores for film music, as we know he wrote a lot of music for Hollywood. But they are going to get the rights for a complete edition. And so I don’t see why it wouldn’t be possible with Enescu. And also you have to make available music that is reasonable cheap for musicians, for students, for people in the Conservatories, so that they can use them. For example Wagner’s scores are available for free, you probably know, on the internet: http://imslp.org. You can simply download them and print out copies of the music. And for Enescu, maybe what is needed is a new edition, that takes into consideration all his revisions and all the anomalies that have occurred in the manuscripts. A.O. : And for a catalogue of about 30 opuses, like Enescu had, can you estimate the cost? E.L.: I think you would have to have some kind of state funding. But, if it’s a national figure, a figure important for the national culture, that must come from the Ministry of Culture. Presumably they have funds to support Enescu’s museum, so I would imagine they could be persuaded, probably in partnership with some well-established music publishers. The other problem that has to be solved is if there are any surviving heirs in Enescu’s family, if they have rights. That’s also a legal issue, to see who gets the money when a work is performed. And these are things to sort out even before you embark on the edition. A.O. : Well, there are some heirs, as far as I know, form his wife’s family, but nobody with extraordinary demands. E.L.: Well, presumably, as he died in 1955, so we’re not 70 years after his death yet, every time Enescu’s music is performed, somebody must get some money. A.O. : Yes, I think so, I don’t know how much, but I don’t think it’s something out of scale. 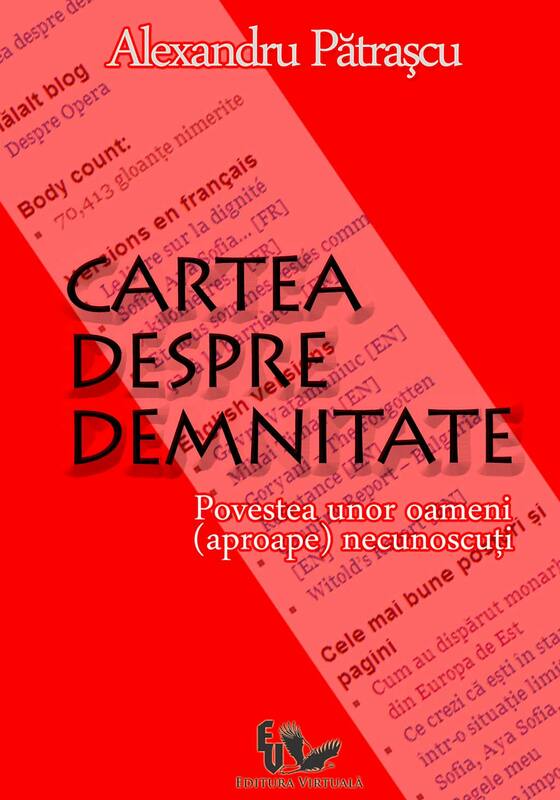 It’s a pity that Romanian musicians, conductors are complaining about the lack of a critical edition. E.L.: Well, I don’t know about the state of the Romanian musical life. I have a colleague you may even know, Jim Samson, who wrote a huge book about the music in the Balkans (http://www.amazon.com/Music-Balkans-Balkan-Studies-Library/dp/9004250379). And you need somebody like him to make the link with America. Because for America, and England, and these other countries with a lot of musical scholarship, you need help in order to promote this amazing composer. And it’s collaborative work between musicologists, conductors, plus somebody who must obviously take the lead in being the editor of this kind of project. There must be scholars in Romania at the moment working on Enescu. A.O. : Of course there are! E.L.: You need a kind of collective will, in fact, to get this off the ground. It won’t happen if the conductors just individually complain, you need more off a ground swelling opinion to do something about it. Because otherwise it will continue the way it is now. E.L.: I didn’t know that! It’s interesting! But did he promote much of Enescu’s music in the UK? I’m not sure he did. A.O. : As far as I remember, he won a national prize for composition twice, in Romania. But after the war, and during the Romanian stalinism, he got the same accusations like Shostakovich. E.L.: Oh, he was accused of formalism! A.O. : Something similar. 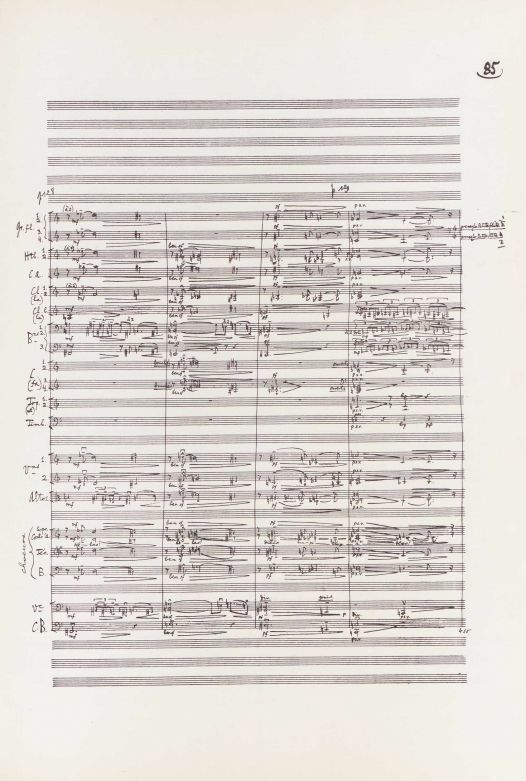 And, at some point, Constantin Silvestri said: “I am done with composition, I am no longer interested in that”, and after the war he concentrated on conducting. And he became famous for that and eventually left the country. But I remember him complaining in a letter sent to Romania that he would like to conduct Enescu’s works more, but he cannot, because he cannot find the scores. So, this is another argument for the statement in your article when you say that this dissemination of his compositions was flawed. E.L.: Yes, I am sure about this. And it’s clear for me. I am working at the moment on the 1920s in Germany and, as I am reading the journals, what comes across is the reason why a composer such as Franz Schreker became such an international success particularly in Germany, with lots of performances: the advertising campaign of the publisher. The publisher was the one who made absolutely sure that everybody knew about Schreker and that it was big news; and, in fact, there were some complaints in the reviews saying that this is total exploitation and shameless marketing. But Enescu was far too self-effacing and, in fact, I don’t know if he was so modest as to hope that his music would be appreciated simply because of its quality. Igor Stravinsky, for example, was a pretty aggressive promoter of his own music and he made sure that, whenever possible, he would get commissions. But it seems to me that Enescu was rather diffident about that. So, there is a combination of lack of dissemination, lack of availability and Enescu’s reluctance to being more egocentric about his music. And about Silvestri coming to Britain – we have an internet system where we can access all the university libraries in the country and if I put Enescu into the system to see how many places have scores available of his music, well, they are very limited. So, they were just not available. I also suspect the French publishers were useless in promoting his music. So maybe Silvestri simply lost patience. And you also have to remember that he was conducting in Bournemouth, not in London. And I presume that even in those days he also had to abide by the pressures of what the audience wanted to hear, so maybe his programming was less adventurous than he would have liked. Oh, he did conduct quite a lot of British music, for example, I know that. A.O. : Elgar, in the first place. E.L.: Yes, but that was popular with the audiences. And also, that was in the ‘50s, when perhaps people had more autonomy in deciding the repertoire, but he may have been restricted in his efforts of promoting Enescu. I know about his recording with the First Romanian Rhapsody, but did he ever record any other piece by Enescu outside Romania? A.O. : No, as far as I know, he didn’t. Just the Rhapsodies and I saw that he has a recording with the BBC and there is another one, which has a rather peculiar fate. In the ‘50s he also recorded the Rhapsodies with the Vienna Philharmonic, but it seems the recording was released long after his death, in the ‘90s. And I find that interpretation of the First Rhapsody with the Vienna Philharmonic as being the most extraordinary I have ever heard, it’s full of colours. Like watching a documentary film with the colibri birds, it’s shining all sorts of colours at a very high speed and it’s something very revelatory. E.L.: A question completely off the point: did Celibidache ever conduct Enescu? Apart from the Rhapsody? I mean he was a very important figure in Munich and he could have easily performed his music if he wanted to. I know he didn’t record, or anything, but did he ever perform it? A.O. : As far as I know, no, he didn’t. Nevertheless, he was invited in Romania in the ‘70s, I think, a period of relative liberalisation, relaxation of the communism. And he came to the Athenaeum and he conducted the First Rhapsody, in a concert that became iconic for him. E.L.: Exactly! You can watch it on the YouTube. A.O. : He had a bucolic vision, if you want. I’m not particularly excited about his interpretation, but anyway it was something different. If you listen to Enescu conducting his own composition, the Romanian Rhapsody, it was like a folk orchestra, but afterwards the direction other conductors took for this rhapsody was more and more and more symphonic. E.L.: Just to get back to your point: I think it was simply a mixture of dissemination and lack of availability of the scores. And also convincing the counter promoters that he didn’t have recordings to hand, so if they wanted to conduct this work, it couldn’t have happened. And Silvestri died quite early, in the late 1960s. If we think about Enescu’s Second and Third Symphonies, which he might well have done, remember that Mahler, at that stage, was still unfamiliar on London concert scenes. I mean, it was between the 1970s and the 2000s that Mahler’s music exploded in England and now we encounter him so frequently. 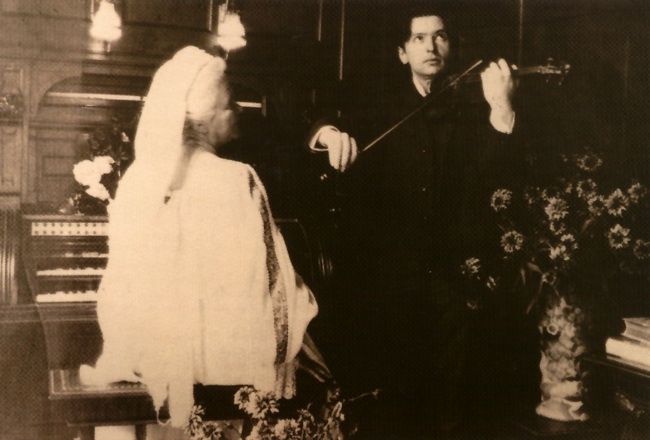 So, if Silvestri had lived longer, he may have been in a better position to promote some of Enescu’s music. A.O. : Another question was about the meaning of Enescu’s choice for Oedipus’ myth for his single opera. It is a problem that preoccupies me, because in Romania Œdipe is considered the most important opera composed by a Romanian, and so on and so forth, but the myth with Oedipus killing his father and sleeping with his mother is not very convenient… (they both laugh) So, there are a lot of discussions in Romania about trying to establish that, in fact, Oedipus is not guilty, it’s just the fate, etc, which I consider as a nonsense discussion about this opera. E.L.: Yes, it’s a way of covering up the slightly unpalatable issues of the opera. Is that because there is a certain element of censorship in the Romanian society that disapproves of this notion? What do you think? A.O. : No, I don’t think it’s the case of any kind of censorship. I’m linking the subject of Œdipe, in a romantic way, to the fact that Enescu sees himself as an artist who has his doubts, his torments, which he compares to an epic tragedy, that Oedipus myth is. So, starting from here, there have been productions of Œdipe, like that of Andrei Serban, in the ‘90s, where Œdipe was like the epitome of the Romanian people. The plague from Thebe was in fact the arrival of communism, there was an iron curtain falling during the intervals, the Sphynx was Stalin, dressed as a woman… What’s your point of view about this subject for Enescu’s music? E.L.: Obviously, it’s a myth that was utilised with great power by Stravinsky and I’m sure that Enescu was aware, he must have been aware of Stravinsky’s great masterpiece. The thing about returning to classical antiquity, to the archetypes is that they speak to us in so many different ways. And rather than going for a realist or a folk opera, which might have given Enescu a greater success, if he had chosen something with village life, the kind of blood and soil nationalist opera that would have suited the purpose of promotion, he went for something more epic, more archetype, more like Wagner, I think. This is the Greek mythology and it’s something that offers great truths for us. And particularly it’s interesting that people can manipulate the libretto and the story line in order to suit the political situation, as you just mentioned it. Probably particularly in the moment when the communism fell… But I haven’t seen this production, and in fact I haven’t seen any production of Œdipe, so I can’t make any comments on the staging. But presumably in this production the staging will be less taken by the immediate political consideration and more dealing with the kind of human element in the work, the crisis, as you say, relating to the composer himself. Certainly, sorry to keep on going about to Szymanowski, but in King Roger there is also man fighting the doubts, and the way in which Covent Garden chose to show that, to put on the stage the inside of a huge head, in order to show that inner torment. And, in a way, it was extraordinarily effective, it’s a very static production, I can’t say too much about whether such an approach would also work for Œdipe as I haven’t seen it, but from the recording you can envisage that. And Enescu’s opera seems very static, too, so it requires that psychological drama to be enacted on stage, to be really effective. George Enescu cântând la vioară. 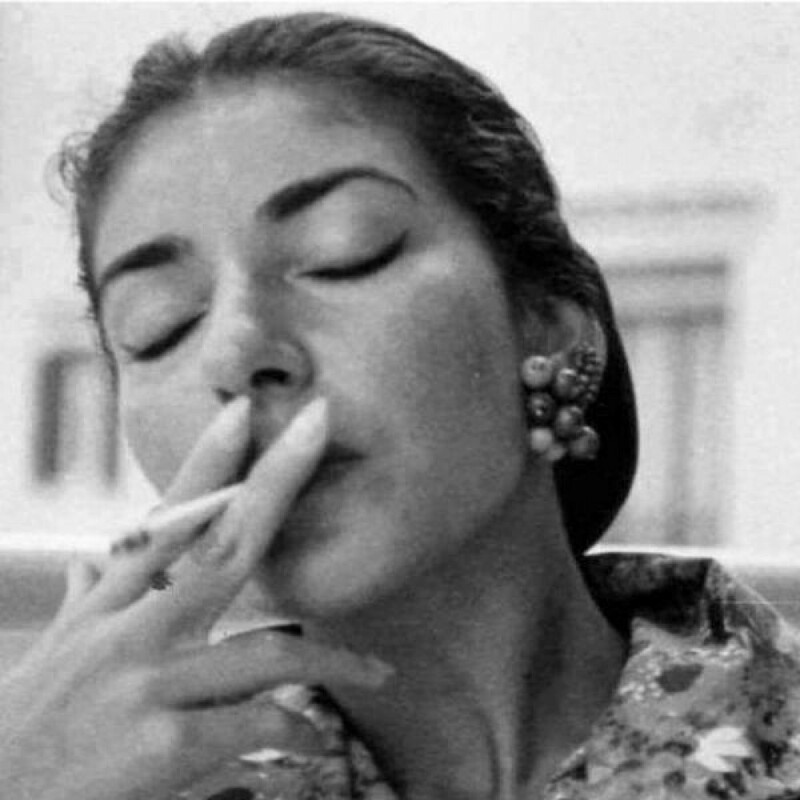 La pian… regina Carmen Sylva. A.O. : And about the folk music in Œdipe, in fact it is present mostly in the first act, and then it quite disappears from the score and makes place for the more psychological drama. E.L.: My point about the folk music is that if he wanted a national, a sort of folkloric opera, with lots of dances, and lots of choral numbers, like in Borodin’s Prince Igor, for example, he would have written something completely different. But that wasn’t Enescu’s nature, it wasn’t what he was all about really. And again, you can draw a parallel with Bartók: his Bluebeard’s Castle is another sort of psychological drama, a symbolist drama in this case. These are archetypes of the XXth century, in my opinion. A village drama would have been more something for a XIXth century composer. A.O. : I imagine that. So, the last question was what is really new and original in Enescu’s works compared to the French and German influences of the time. We know he was influenced by Ravel and by Fauré, his teacher, and when you listen to Enescu you feel that influence, but it’s not just that. What do you think he is bringing new to the musical language? E.L.: Well, it’s an interesting mixture, because there’s also, clearly, a profound love of Brahms, and even in his French works, let’s say the First Symphony, you can hear the influence of Brahms coming through. But it’s also in the scale, in the melodic patterns that he used, something kind of exotic. Well, I don’t know anything about Romanian folk music, that he knew from his childhood and he recalled in the amazing piece he wrote for violin and piano in 1940, Impressions d’Enfance, but there is something quite distinctive, clearly about the language that remains constant in Enescu’s music. I think the problem for the listener is the sheer density of the musical thought in music. And the fact that, for example, in the Romanian Rhapsodies, he seemed so far away from the style he adopted in other works. It is a very distinctive style. But it’s quite difficult to pinpoint exactly what is is. And to extract the elements and to say to the listeners, to encourage them to listen to Enescu’s music, to tell them what is distinctive in his music is sometimes more difficult. There are pieces by Enescu, for instance one played a lot by flautists, which is a kind of Paris Conservatoire work, named Cantabile e Presto, which could have been written by a French composer. 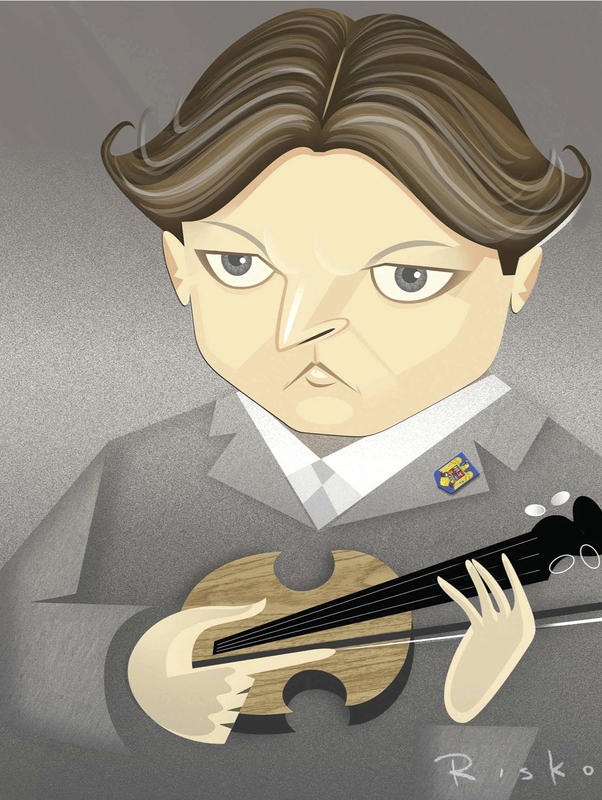 Enescu had the ability to absorb these various traditions and not necessarily making them his own. A.O. : Anyway, the folk music disappeared at some point in his creation, apart from the Rhapsodies and the Romanian Poem. But for instance the First Rhapsody is just a collection of popular folk tunes, which can be found on the internet in their original version, of folk music. And he orchestrated them very nicely. E.L.: Yes, it’s incredibly well-done, for sure. A.O. : But after that he was like trying to reject this path and to go towards other compositional styles, like in the First Symphony, or in Vox Maris, or in Œdipe, in the last acts. E.L.: Another interesting thing about Enescu is that he was doing different things at the same time. You are right, he rejected some things, but he had different streams of preoccupations, with one particular preoccupation coming to the front. So, if we are talking about different styles, like in Beethoven, the beginning, the middle and the last part, I think it’s more difficult to do that in Enescu’s work. A.O. : Thank you very, very much!